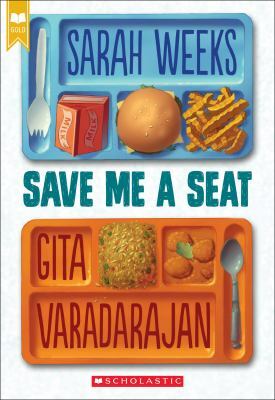 Save Me a Seat joins the Scholastic Gold line, which features award-winning and beloved novels. Includes exclusive bonus content Joe and Ravi might be from very different places, but they're both stuck in the same place: SCHOOL. Joe's lived in the same town all his life, and was doing just fine until his best friends moved away and left him on his own. Ravi's family just moved to America from India, and he's finding it pretty hard to figure out where he fits in. Joe and Ravi don't think they have anything in common -- but soon enough they have a common enemy (the biggest bully in their class) and a common mission: to take control of their lives over the course of a single crazy week. New (756 available) BRAND NEW. Over 1.5 million happy customers. 100% money-back guarantee. Make your purchase count: support Better World Books' worldwide literacy partners.